elliven studio: O Christmas Treeeeeeee! My dear friends, how was your weekend? 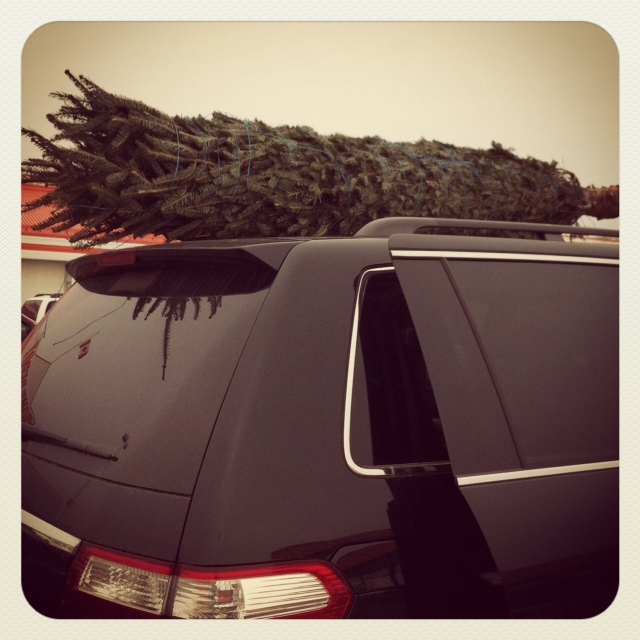 We purchased our Christmas tree, we relaxed, we enjoyed spending time as a family (something that hasn't happened in a long time on a weekend due to hubs being away). It was lovely and I'm thankful for that. First let me tell you a little something. 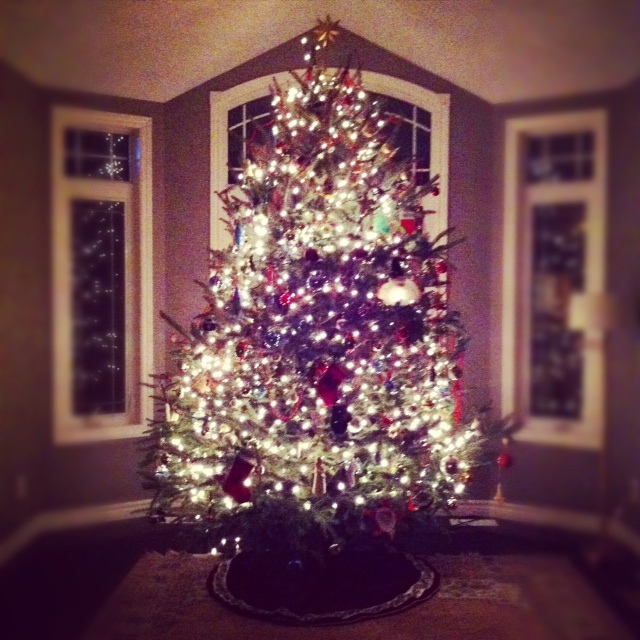 When we lived in Ottawa I absolutely loved taking a particular route home during the holiday season because it meant that we would drive past a home that to me, had the most unbelievably gorgeous tree in a room at the front of the house. This tree was just the epitome of a perfect Christmas tree and as silly as it sounds, it was a dream of mine to one day, be able to do the same. To have a tall tree at the front of the house. Well, dreams do come true and guys, I'm so beyond thankful right now. 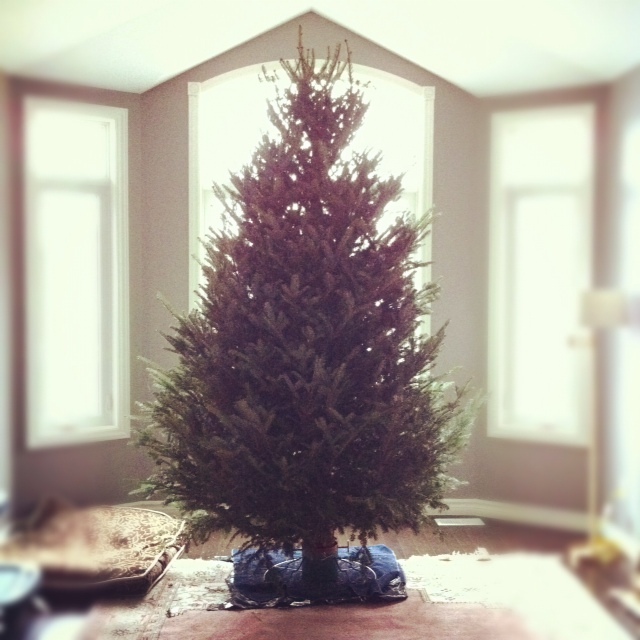 We placed the tree in the living room which has slightly vaulted ceilings. This meant that we had enough room for a 10-11' tree. Now, do you decorate your tree as a family? Is there any rhyme or reason to your decorations? When we first moved out, I had to style the tree. Not anymore. Now I sit back and watch while the kids do their thing and take over once they've had enough. So, needless to say there is definitely no rhyme or reason to our tree and we love it! I may or may not have wanted to kiss the tree! Also, I was totally excited to receive an email from Restoration Hardware letting me know that my chairs have shipped! Wahoo! They should be here in the next week or so. Once the chairs are in place, I can get a true feel for the room and then plug away on adding more pieces. Can not wait! Tomorrow I'm off to get my Cozamia print framed and I'll also be stopping at a different Homesense to *hopefully* pick up a few things that I spotted the last time I was there for the living room. Fingers crossed!